As the season starts to change and the air begins to turn a bit chilly, it's time to put away the heat resistant light clothing of summer and break out the kind of golf wear that can stand-up to the very different demands of playing in the fall. Let's take a look at some of the best bets for meeting the demands of the new season in a fashionable and practical way. 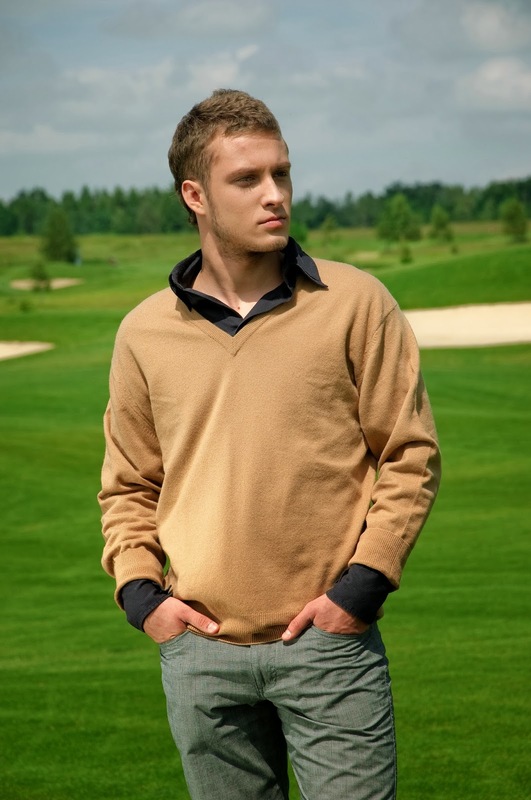 Golfing jumper: If there is one key to fall golf wear, it's layering. 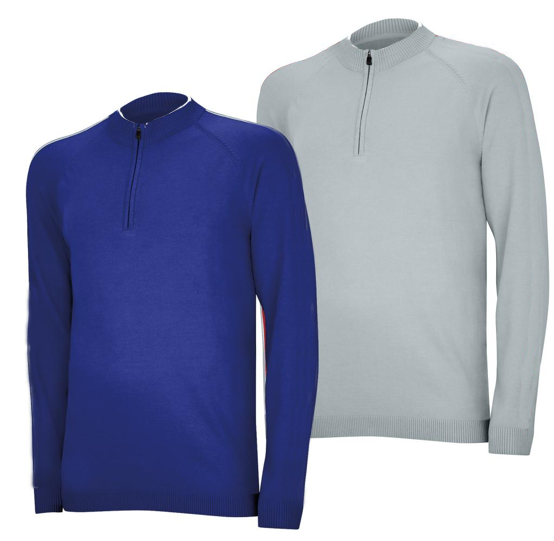 Golfing jumpers are perfect for this as they provide the warmth of a sweater, and the styling that allows you to fit right in with traditional golfing fashion. Jumpers come in many varieties, from v-neck, crew and zipper models, to straight pullovers. Seasonal head gear: Not only is the sun still a factor during the fall, but keeping your head warm can be a key to not losing concentration at the wrong moment. Driving caps, bucket hats, and fedoras are quite popular this year, providing a nice range of styling options for the fashion conscious. Long-sleeved polo shirt: Few pieces of clothing are more ubiquitous on the course than a stylish polo shirt. Long-sleeve polo shirts are multi-functional in giving you freedom of movement, stylish looks, and the little bit of extra protection from the chill that fall play demands. Rain-ready outwear: A little wet weather won't stop the average golfer, but getting soaked to the bone might. Light jackets, pullovers, and windbreakers now come in a variety of breathable waterproof, water-resistant, and windproof materials that can meet any wet weather challenge. Monochrome styling is back: Remember Gary Player – the Black Knight? Well sporting a uniform color look is not only back in fashion, but it's a great strategy for meeting the demands of fall golfing since the all-dark look also works to absorb what few rays of the sun there are, and help keep you warm so you can keep your mind on your game. By wearing the appropriate gear on the golf course, you can avoid stiff swings, shaky putts, and muscle tension. Ensuring you wear the proper attire for peak performance is crucial in the competitive arena. There are a variety of options for men to look good without sacrificing agility. Look around for your favorite apparel, and remember to layer accordingly. As the temperatures continue to plummet, you can be sure your golf game won’t follow. Melinda Bailey's an avid golfer as well as the blog manager for 9 & Dine Women’s Golf Apparel You can read her Women of Golf blog, or connect with her on Twitter through @9Dine.